Collaborating with key stakeholders is one of Wittenborg's core values. Therefore, as the institution continues to grow and advance, seeking new and top opportunities that are beneficial for its students has been a major priority. Hence, the new agreement with Fletcher Hotels, which will allow students to complete their work placements at any one of their 16 hotels in the Apeldoorn area. 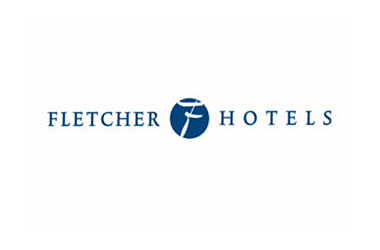 Fletcher Hotels, with 87, soon to be 89, prime locations around the Netherlands, are usually housed in historic buildings, and the company is well known for its authentic hotel-restaurants nationwide. Wittenborg students have the opportunity to gain work-placement experience as interns at Fletcher Hotels, as of June of this year. Together with Bert Meeuwsen, Wittenborg's External Relation Coordinator, Léon Dieperink, manager of Fletcher Restaurant-Hotel at Beekbergen in Apeldoorn devised a plan to collaborate with Wittenborg to allow students to intern at any of the 16 locations in the Apeldoorn area and surroundings. According to Meeuwsen, one of the problems in the hospitality industry is finding the appropriate staff, and with this agreement Wittenborg students could turn out to be the solution to that. 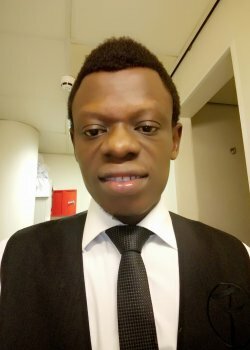 Wittenborg's final year IBA Hospitality Management student, Mostfavour Onuigbo, is currently completing his internship at the Beekbergen Fletcher Restaurant-Hotel in Apeldoorn, which he started in May 2018. According to Mostfavour, he started in the housekeeping department to gain overall experience in management skills in the hotel industry. In addition, he commented that he enjoys his job, and that the manager and supervisor are very supportive and great coaches to him. They helped him to learn everything about housekeeping in a matter of weeks. Mostfavour now works in the restaurant service department after which, towards the end of his internship, he will work in the hotel reception area. After completing his internship, Mostfavour will be a well-rounded employee, fit for any future employment within the hospitality sector. He encourages students who are about to start their internships or are looking for internships to join Fletcher Hotels because it is a wonderful place to work, with very attentive and supportive supervisors and managers. In addition, the hotel offers opportunities in various sectors such as Marketing, Finance, and Logistics, etc. When asked why he chose to study at Wittenborg, Mostfavour commented "because Wittenborg is one of the most reputable of private university of applied sciences in the Netherlands which runs all its programmes in English". He will be graduating in March 2019. There are often misconceptions by companies in the Netherlands regarding work permits for non-EEA and EER students to complete their internship at companies. However, according to the Nuffic Internship Agreement, "International students who do an internship within the framework of their Dutch study program are obliged to conclude a standard internship agreement with the employer". The agreement states that the employer does not need to apply for a work permit (TWV) for the intern. However, it is important that he shows a standard internship contract if the authorities request it. Therefore, it necessary to keep a copy of the internship agreement at the workplace and attach a copy of the intern's passport to it.